By 1973, Hammer had been sold by Sir James Carreras to his son, Michael Carreras, at a period when the British film industry was collapsing. 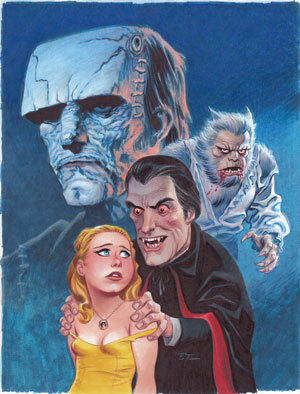 Leaving Michael to search for new ideas and financing sources for Hammer films. 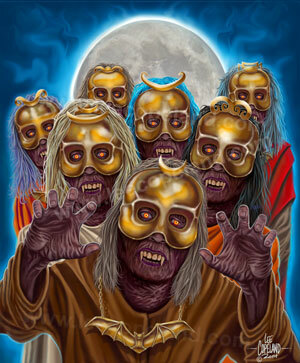 This led him to the Shaw Brothers, the far East’s major producer of movies. And out of that came THE LEGEND OF THE 7 GOLDEN VAMPIRES, which wildly integrated Western ideals of vampires with Eastern legends. 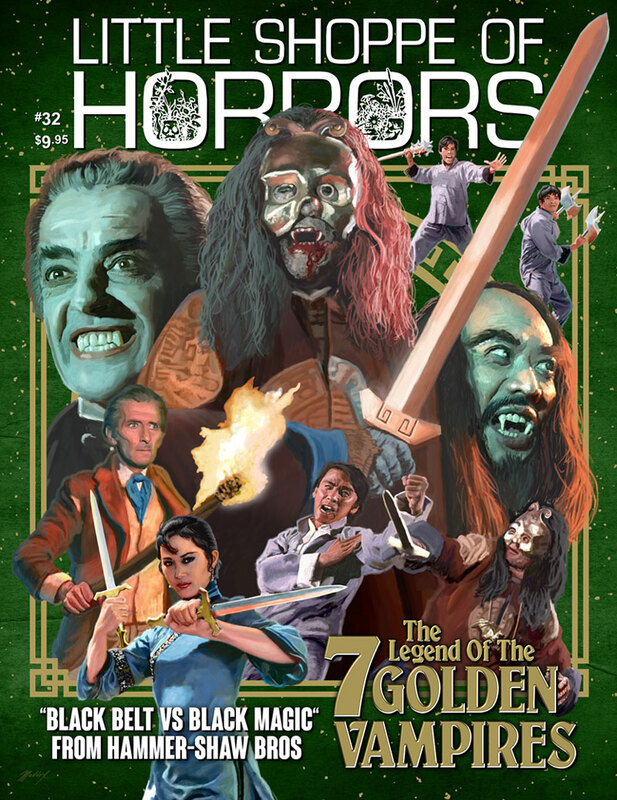 Peter Cushing was back as Van Helsing for the last time, while Hong Kong super star, David Chiang, led the brothers and sister on a battle to save their village from the Golden Vampires. Little Shoppe of Horrors #32 takes you behind the scenes in that East did not always meet West as the two companies clashed on how the film should be made. But in the final analysis, it came out fun and very colorful. 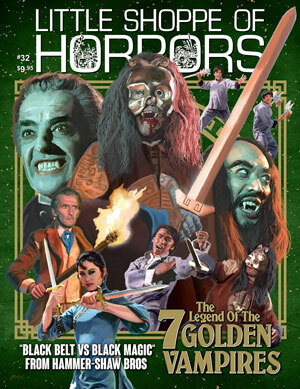 The Making of Hammer-Shaw Bros THE LEGEND OF THE 7 GOLDEN VAMPIRES by Bruce G. Hallenbeck. 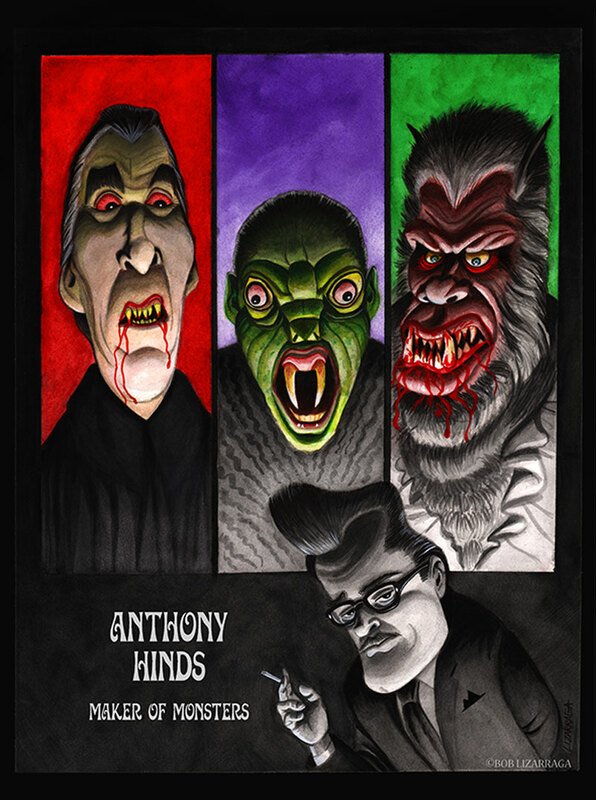 PLUS: Interview with Raymond Huntley (Hammer’s THE MUMMY and one of the first stage Draculas) Conducted by David Williams. Inside Covers by Lee Copeland and Bob Lizarraga.